Home » Arch Linux , Fedora , Linux Distributions , Mandriva , OpenSUSE , Puppy Linux , Red Hat , Ubuntu , Ubuntu Derivatives » 2012 Best Linux Distributions For Your Computer. Linux is one of the leading operating system and now it is available in several different distributions, all tailored to specific needs and wants. Some Linux distributions are light-weight which will run fine on your old laptop, some are targeted at people who just want to try out linux, along with other main operating systems for learning or similar, while other desktop distros(like Ubuntu) includes a more comprehensive collection of software applications and also support a wide variety of hardware devices. Some of the most popular linux distributors are Ubuntu(based on Debian), Fedora, LinuxMint, openSUSE and Debian and you’ll be surprised to know that so far there are over 650 distros in the worls according to Distrowatch, a site that tracks popularity of various linux distributors. 1) Ubuntu (Desktop edition) is a great choice for Linux users who are beginners. It is based on Debian. It supports a large-variety of hardware devices, has a standard release cycle (every six months). It is the antidote to a world of uncertainty. For the wide majority of installations, it will just work. You don’t have to worry about hardware incompatibility, software installation and the configuration. Insert the disc in the drive, answer a few easy questions and you’ll find you looking at the beautiful new design, the so-called Lucid Lynx. If you don’t have a great Internet connection, you can ask Ubuntu to ship you installation DVDs for free anywhere in the world. Ubuntu currently has the largest share of the Linux user base. Ubuntu also includes an extensive set of open-source software to cover the needs of first-time switchers, but also includes only truly free software in its default installation, winning fans on both sides of the open-source aisle. Latest version is 10.04. 2) Linux Mint shares much of its lineage with Ubuntu, but aims for a clean, green-themed, mostly new and better look. Its developers have a strong focus on immediate functionality, with a large driver set included at first installation. In addition it also includes Mint Tools, a set of configuration apps and wizards that strive to make configuring and managing Linux as painless as possible. 3) Mandriva Linux is a very comprehensive Linux distribution that can use either KDE or GNOME as its GUI, though KDE 4 is its default. At that time, Linux was already well-known as a powerful and stable operating system that demanded strong technical knowledge and extensive use of the command line; MandrakeSoft saw this as an opportunity to integrate the best graphical desktop environments and contribute its own graphical configuration utilities to quickly become famous for setting the standard in Linux ease of use. This edition is made for the discerning users who value software freedom and and don't want to run proprietary software on their machine. Named Mandriva Linux Free, this build does not contain any non-free software packages like proprietary drivers, closed-source applications or plugins. It is available on the network of public Mandriva mirrors as part of the Mandriva Linux release. Mandriva Linux is based on the Cooker development project Mandriva Linux one of the largest, most up-to-date, integrated, internationalized and standardized distributions available. sponsored by Mandriva. Hundreds of passionate free software developers work openly on the core of the distribution. This open, community-driven development system has been in place since 1998, making it one of the longest-standing open source development communities around. 4) OpenSUSE is another easy Linux distro that uses either KDE or GNOME. openSUSE is driven by the openSUSE Project community and sponsored by Novell, to develop and maintain SUSE Linux distributions components. It is the equivalent of the historic "SuSE Linux Professional". After their acquisition of SUSE Linux, Novell has decided to make the community an important part of their development process. Like most Linux distributions, openSUSE includes both a default graphical user interface (GUI) and a command line interface option. During installation, the user may choose among KDE, GNOME and Xfce GUIs. openSUSE supports thousands of software packages across the full range of Free software / open source development. It’s sponsored by Novell. It includes YAST, the easy-to-use configuration tool that lets you customized just about everything. 5) Fedora is a great distro suitable for varied needs – software developers and end users alike. Fedora uses GNOME by default, but KDE, Fluxbox, XFCE are provided on the installation DVD if you prefer them. It offers many of the advantages of Ubuntu like excellent hardware support, a refined desktop and great package choice. MP3 codecs, Nvidia drivers and Adobe Flash are not easy to install, and get even less easier with each new release. Instead, you’ll want to stick with the open source options provided by Fedora. But it never compromises. Its new version includes the fantastic, hardware accelerated, and open source, Nouveau Nvidia driver, while the new photo manager, Shotwell, is an interesting alternative to the potentially patent crippled F-Spot. Version 14 is the latest Fedora release to tackle the growing popularity of Ubuntu, and as a result, it’s one of best looking and usable distributions around, regardless of your politics. 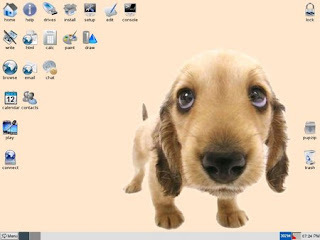 6) Puppy Linux is a lightweight Linux distribution that focuses mainly on ease of use. Its a Live CD distribution that has a small installer and can run just fine on computers with RAM as little as 128 MB. Puppy Linux can boot from almost all kind of media including USB flash drives, CD or a zip drive. Puppy 5 is the latest version based on woof. Puppy boots into a ramdisk and, unlike live CD distributions that have to keep pulling stuff off the CD, it loads into RAM. This means that all applications start in the blink of an eye and respond to user input instantly. Puppy Linux has the ability to boot off a flash card or any USB memory device, CDROM, Zip disk or LS/120/240 Superdisk, floppy disks, internal hard drive. It can even use a multisession formatted CD-RW/DVD-RW to save everything back to the CD/DVD with no hard drive required at all. 7) Xubuntu is a variant of Ubuntu is also a possibility. Xubuntu uses xfce, a desktop environment that uses less system resources than the GNOME that comes with the Ubuntu distribution. The minimum RAM Xubuntu can be run on is 128 MB, with 256 MB of RAM strongly recommended. Xubuntu versions are also released twice a year, coinciding with Ubuntu releases. Xubuntu aims to create a distribution that provides an up-to-date and coherent Linux system for desktop and server computing. Xubuntu includes a number of carefully selected packages from the Debian distribution and retains its powerful package management system which allows easy installation and clean removal of programs. Unlike most distributions that ship with a large amount of software that may or may not be of use, Xubuntu's list of packages is reduced to a number of important applications of high quality. By focusing on quality, Xubuntu produces a robust and feature-rich computing environment that is suitable for use in both home, commercial, and educational environments. The project takes the time required to focus on finer details and is able to release a version featuring the latest and greatest of today's software once every 6 months. Xubuntu is available in flavours for the i386 (386/486/Pentium(II/III/IV) and Athlon/Duron/Sempron processors), AMD64 (Athlon64, Opteron, and new 64-bit Intel processors). A community-supported PowerPC (iBook/Powerbook, G4 and G5) architecture architecture is also available. Netbooks are like your regular notebook computers but with small screens, consumes less power but also have less powerful hardware. Linux distros suitable for running on netbooks include Ubuntu Netbook, Moblin and Jolicloud. 8) Ubuntu Netbook Edition, also knoen as Ubuntu Netbook remix prior to release of version 10.04. It requires an Intel Atom processor. If you already have an Ubuntu installer, you can install the desktop version of Ubuntu on your netbook, and change the default repository to point to Ubuntu Network Editor repository and then install the relevant packages. Ubuntu Netbook Edition (UNE), known as Ubuntu Netbook Remix (UNR) prior to the release of Ubuntu 10.04, was a version of Ubuntu that had been optimized to enable it to work better on netbooks and other devices with small screens or with the Intel Atom CPU. UNE was available starting with Ubuntu release 8.04 ("Hardy Heron"). UNE was also an optional preinstalled operating system (OS) on some netbooks such as Dell Inspiron Mini 10v and the Toshiba NB100, and also ran on popular models such as the Acer Aspire One and the Asus Eee PC. Canonical, the developers of Ubuntu, are collaborating with Moblin project to ensure optimization for lower hardware requirements and longer battery life. Beginning with version 10.10, Ubuntu Netbook Edition used the Unity desktop as its desktop interface. The classic netbook interface was available in Ubuntu's software repositories as an option. Because Ubuntu's desktop edition has moved to the same Unity interface as the netbook edition, starting with Ubuntu 11.04, the netbook edition has been merged into the desktop edition. 9) Jolicloud is suitable for running on low-powered computers that don’t have enough storage space or memory. The interface of Jolicloud is beautiful imagery and different from all other Linux distros. It is based on Ubuntu and so any app that works with Ubuntu will run on Jolicloud as well. You can download the ISO to install Jolicloud on a separate partition or alongside your window. Joli OS was at the beginning built on top of Ubuntu Netbook Edition,and as with that Linux distribution, was tweaked for netbooks and other computers with limited disk storage, memory, and screen size. Joli OS is now built on top of Ubuntu with a customized kernel. Joli OS was designed for easy installation, with Wi-Fi, Bluetooth, and 3G modem support all included. The operating system supports all the major netbooks, including models from Asus, Acer, Dell, HP, MSI, Samsung and Sony.Jolicloud claims the OS supports 98% of netbooks with out-of-the-box compatibility but also works on a very large number of other devices, up to 10 years old: laptops, desktops and tablets. Version 1.0 of the operating system incorporates a user interface built primarily with HTML5 that includes an application launcher, a library of compatible applications with one-click installation and removal, a display of all machines associated with a user account, and a social activity stream that enables users to compare installed applications. The launcher displays only those applications supported in the library, but the identical configuration can be viewed from any machine running Joli OS. Account management is available from any computer with an HTML5-compatible browser.Jolicloud's HTML5 implementation is through the Chromium web browser, which serves as middleware for Web rendering. 10) MeeGo is a Linux-based open source mobile operating system project. It is designed to act as an operating system for hardware platforms such as netbooks, entry-level desktops, nettops, tablet computers, mobile computing and communications devices. It includes performance optimisations and features which enable the development of computational and graphically oriented applications and connected services, support for Internet standards, easy-to-use development environment based on Qt, and state-of-the-art Linux stack optimised for the size and capabilities of small footprint platforms and mobile devices. 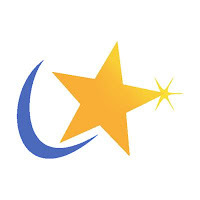 MeeGo currently targets platforms such as netbooks and entry-level desktops, handheld computing and communications devices, in-vehicle infotainment devices, connected TVs, and media phones. According to Intel, MeeGo was developed because Microsoft did not offer comprehensive Windows 7 support for the Atom processor.Novell also play a large part in the MeeGo effort, working with the Linux Foundation on their build infrastructure and official MeeGo products, and MeeGo is increasingly using more of Novell's technology that was originally developed for openSUSE, (including openSUSE Build Service, ZYpp for package management, and other system management tools). MeeGo is primarily designed to act as an operating system for hardware platforms such as netbooks, entry-level desktops, tablet computers, mobile computing and communications devices, in-vehicle infotainment devices, connected-TVs, IPTV-boxes, smart phones, and other embedded systems. Harmattan, originally slated to become Maemo 6, is now considered to be a MeeGo instance (though not a MeeGo product), and Nokia is giving up the Maemo branding for Harmattan and beyond (Maemo 5, aka Fremantle, and previous versions will still be referred to as Maemo). 11) Arch Linux is a linux distribution aimed to be lightweight and simple. The development team focuses on simplicity without any GUI configuration tool. Arch Linux uses systemd as the default init system and service manager. Until mid 2012,Arch used a BSD-style init framework, a tradeoff of flexibility for simplicity which included and permitted use of System V runlevels and the inittab file, but made little distinction between runlevels: startup modules and daemons were simply listed in arrays in the central configuration file, /etc/rc.conf, as opposed to System V's scheme of per-runlevel directories containing numbered symbolic links for each daemon.Unlike the original BSD and System V init, this framework was also capable of starting processes asynchronously. In late 2012, Arch moved to systemd as default, and full System V compatibility was ended. The Arch Linux website supplies ISO images that can be run from CD or USB. They included the Arch Installation Framework (AIF) (until the 2011.08.19 release) providing a dialog based interactive installation script. The default install was minimalist. Further system customization and expansion (adding a window manager, desktop environment, etc.) had to be be done manually, installing packages downloaded from online repositories. However, AIF has been removed since the 2012.07.15 release due to lack of maintainers, and instead has been replaced by a simple command line script (pacstrap). 12) Red Hat Enterprise Server, SUSE Enterprise and Ubuntu Server are also possible contenders for deploying Linux on server machines. Some factors that are responsible for its success are Red Hat are extensive security updates schedule (7 years), large number of new packages included in the distro and a strong training and certification program which is very useful for organizations that do not have in house skills. Red Hat® Enterprise Linux® servers handle millions of dollars in trades, purchases, and analysis every day. Surprised? Don't be. With support for all major hardware platforms and thousands of commercial and custom applications, Red Hat Enterprise Linux is the new standard for enterprise datacenters. 13) Ubuntu Studio is explicitly geared to general multimedia production. The real-time kernel provided in it aims for intensive audio, video or graphics work. It´s main advantage is ability to achieve software processing with latencies well below the human perception threshold of 5 to 10ms. An important advantage of Ubuntu Studio over most other Linux distributions employing the real-time kernel is access to the same repositories available to the main Ubuntu distributions through the Update Manager, Synaptic Package Manager, as well as through the Add/Remove Applications prompt. This allows for much more frequent operating system updates, and access to a much wider range of software.